Was it Mark Twain who proclaimed, “Whiskey is for drinking; water is for fighting over”? When it comes to this natural resource, our state is rife with conflict. And, perhaps, in the Sacramento region, open to resolution. While the state is all-consumed with water wars, the region’s efforts toward collaboration are easy to overlook. The best example is the landmark Water Forum Agreement, which 22 water agencies from Sacramento, El Dorado and Placer counties signed in 2000 to balance the environmental and human needs of the lower American River. Throughout the American West, precipitation falls in a different place than where most of us live. Early settlers realized that towns and agriculture in the frontier could only be sustained by moving water. So we built a complex system of dams, reservoirs, canals, aqueducts, pumps and tunnels. Who exactly has access to our state’s water has been a point of contention ever since. “It’s a Western pastime to argue over water rights,” says Rita Sudman, who served for 34 years as executive director of the nonprofit Water Education Foundation in Sacramento. California has a dual water rights system when it comes to surface water. The system incorporates both riparian rights (for those who own land next to water) and prior appropriation (“first in time, first in right”). The Water Commission Act of 1914 established the permit process for obtaining surface water and formed the State Water Resources Control Board. Those legislators failed to regulate groundwater, not foreseeing what would come decades later as most of the state battles severe drought and the Central Valley sinks in places due to over-pumped aquifers. In some places throughout the state, groundwater extraction exceeds natural recharge (something the Sustainable Groundwater Management Act of 2014 aims to remedy). Water battles led to an amendment to California’s constitution declaring that all water — surface water, groundwater, marshes and wetlands — must be for a reasonable and beneficial use, such as agriculture, commercial fishing, hydroelectric generation, municipal use, endangered species and recreation (like swimming or whitewater rafting). The definition allows for changing interpretations, and groups who perceive their interests to be in conflict — farmers, industry, environmentalists, outdoor recreationists — continually maneuver for their position to be prioritized. Arguments ensue. The world of water districts is diffusive. We have a lot of them in California — over 1,200 and that’s only counting those elected by voters, or governed by a county board of supervisors or a city council. (That figure comes from the Legislative Analyst’s Office and is more than a decade old; other sources estimate around 2,000 districts, when including entities such as mobile home parks and mutual water companies.) The state also has 108 investor-owned water companies regulated by the California Public Utilities Commission. Around 25 water purveyors operate in Sacramento County. These agencies work in the same river, the same watershed, the same groundwater basin. Theoretically, this poses a problem. 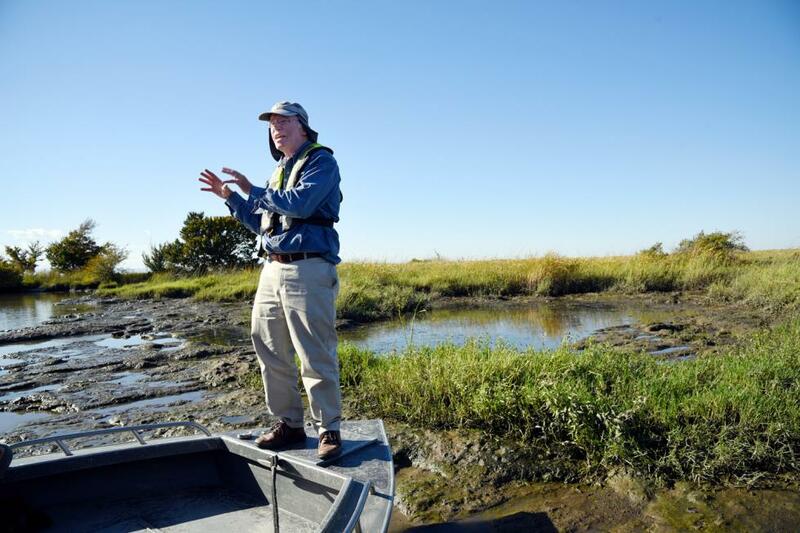 “They each have their own boards, politics, priorities, water sources and water rights, and ways of doing things,” says Dr. Jeff Loux, an environmental planning professor and associate dean at UC Davis Extension. “Getting them to work together is a monumental task.” But, he says, that’s what the Sacramento region has done for two decades. “We need to plan for a 10-year drought or more. If we are not planning, then we are not planning for the world we live in with climate change,” Loux says. To be able to effectively plan, agencies need to agree on stuff. They need to collaborate. “That is, to me, the place where progress gets made,” Loux says. He points to a prime example: the Water Forum Agreement. Member utilities provide $3.80 per water connection per year for the nonprofit organization that oversees the agreement. “For the cost of a latte per family, we get the Water Forum,” says Executive Director Tom Gohring. 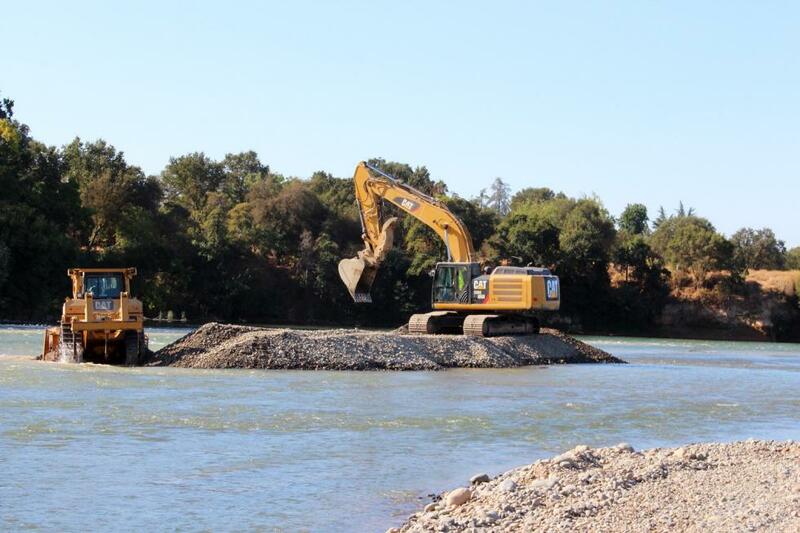 The agreement outlines the management of the lower American River. Fed by the Sierra Nevada, the American River is the second-largest tributary to the Sacramento River, which empties into the Delta and eventually the San Francisco Bay. But hydraulic mining during the Gold Rush and dams built along the American River dramatically changed the geology. This entry was posted in updates on November 3, 2016 by aim.